Small roadside diners like this one were common. The 'home cooked' food was great at some, not so great at others. They were given various nicknames - the Greasy Spoon, The Beanery, etc. 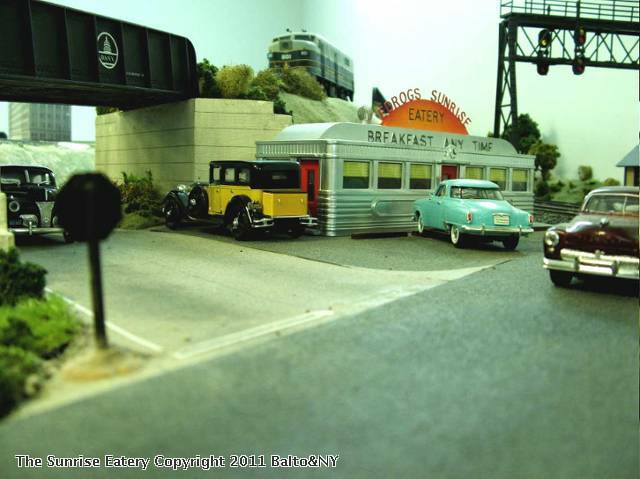 This modified Plasticville diner occupies a lot at the Highway 5 grade crossing on the Baltimore & New York. Wow! Looks so real! Beautiful layout!